The orange sock and boot found on Annette. How did it get there? When 29-year-old Bobbie Oberholtzer hopped into the car of her killer, it was the second time she had hitchhiked that day. Oberholtzer worked in Breckenridge, a popular ski resort town in Colorado. The temperature in January routinely sits below zero degrees celsius, so those who live in nearby towns would regularly hitch rides from the frequent vehicles heading to the ski slopes. That evening was a freezing -29 degrees celsius - great for skiers but terrible for those planning to get around town without a vehicle. The horrific events of January 6, 1982, put an end to this practice of hitching rides with abandon. Oberholtzer phoned her husband Jeff shortly after six that evening to inform him she was going to after-work drinks and that she'd hitch a ride home. She planned to be home within a few hours. When she still hadn't made it home late in the evening, Jeff rang her friends, who told him she'd left just before 8pm. She was sighted around this same time at a minimart, 30-odd metres from the pub, where she presumably flagged down a ride. The next morning, a rancher found Oberholtzer's driver's licence on his property. Panicked and confused, Jeff drove there and while on the highway, noticed Bobbie's backpack sitting in an otherwise empty field, in plain sight from the road. As he approached, he discovered a clump of tissues and one of her gloves, both splattered with blood. 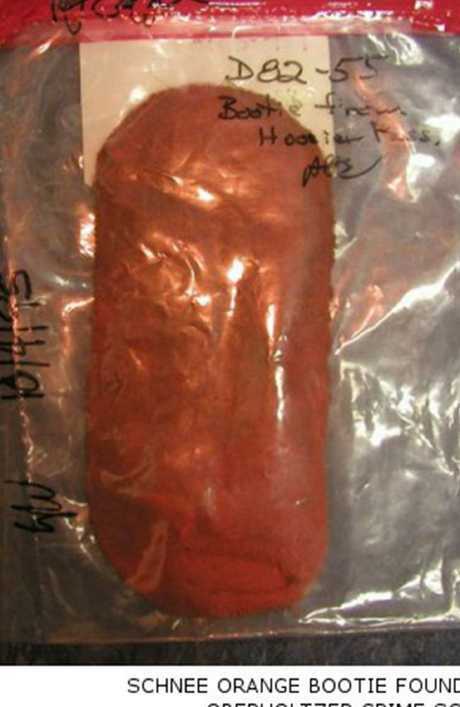 DNA testing later found that the blood on both items belonged to a male. The contents of Bobbie's wallet were later found scattered alongside the same highway. The same evening that Bobbie went for drinks with her work friends, 21-year-old Annette Schnee visited a nearby pharmacy in Breckenridge to fill a prescription. Barbara (Bobbie) Jo Oberholtzer and Annette Kay Schnee. She was with another young woman, who witnesses later said "looked as though she had been camping out for a few days". Given the subzero temperatures at that time of year, this struck investigators as odd. Annette was overheard reminding the woman to buy cigarettes. This was the last time she was seen alive. Despite an identikit picture being widely disseminated, nobody has ever identified who this mystery woman was. Annette was due at work at 8pm at the Flip Side bar in Breckenridge. Her plan, according to those who attempted to trace her final movements, was to hitchhike back home to neighbouring Frisco, pick up her uniform, then hitch back into town. Her uniform remained at her house, Annette never showed up at work, and she was never seen alive again. For two women to go missing on the same evening, in a town with a population of less than a thousand residents, suggests an unmistakeable link. These women were clearly abducted by the same person. Annette was found with both shoes on, but wearing one orange bootie sock on her left foot and one long striped sock on her right foot. The orange sock and boot found on Annette. A photo of Annette Schnee taken shortly before her death. 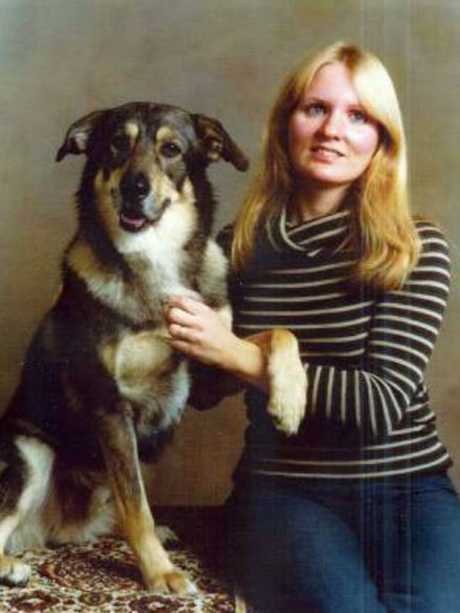 Bobbie Jo Oberholtzer, 29, pictured here with her dog, Hey You. The next afternoon, mere hours after Jeff found his wife's items covered in blood, Bobbie Oberholtzer's body was discovered 16km south of Breckenridge by a cross-country skier. She was face up and six metres down a snow embankment of the side of the highway. She had a gunshot wound in her chest, the severity of which suggested she was shot and killed at close range. She also had a plastic tie-wrap around one wrist; it seemed likely she escaped as her captor was attempting to tie her wrists together. Her positioning down the side of the embankment and track marks in the snow suggests a struggle took place at the summit as she attempted to flee. Her key ring was found 90 metres from her body in a parking lot at the summit of Hoosier Pass, attacked to a sharp, large hook. Considering the blood found on the glove and tissues was that of a male, it seems likely she used this to fend off her attacker. Her husband later told police he made the hook for her as a weapon, should she ever get into trouble while hiking. Also sitting alongside her body was an item that didn't belong to Bobbie: An orange sock. 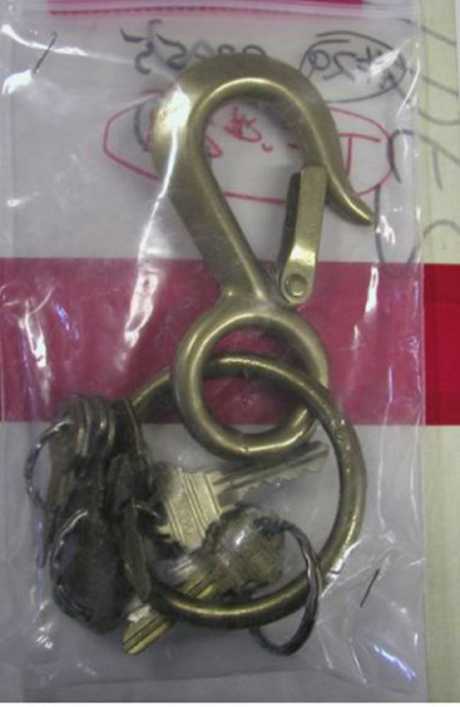 Bobbie’s key ring, with a metal hook defensive weapon made for her by her husband, was found in the parking lot at the summit. 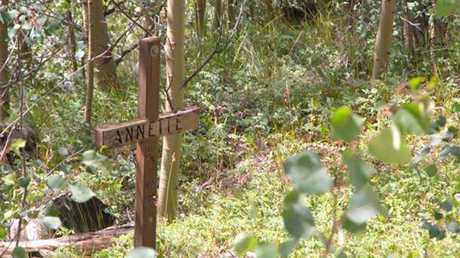 A wooden cross has been erected at the site where Annette’s body was found. Almost six months later, in a remote mountain valley area 32km south of Breckenridge, a nine-year-old boy was fishing and stumbled upon Annette Schnee's frozen, lifeless body. The body was close to five kilometres from the nearest highway, which is why it wasn't discovered for half a year. There was a bullet hole through her back and out her chest; no bullet was ever recovered. She was dishevelled, but fully clothed. Her items of apparel were odd, though. Both her shoes were on, but she was wearing odd socks. A brown and blue striped knee-high sock was on her right foot, with the pair found in the pocket of her hoodie, while her left foot wore an orange ankle sock. 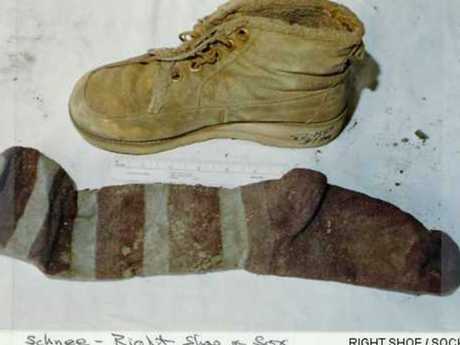 Investigators had seen this sock before; it was an exact match for the one found with the body of Bobbie Oberholtzer. The link was clear. If they weren't certain the same killer was responsible for both women's deaths before, then they were now. 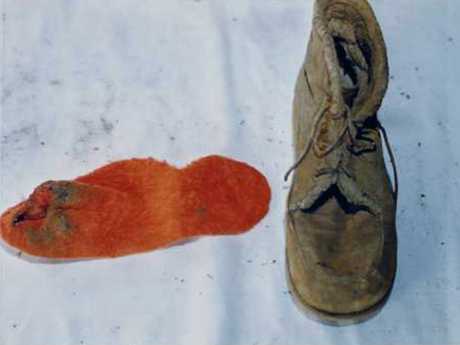 The media quickly dubbed the crimes, "The Orange Sock Murders". 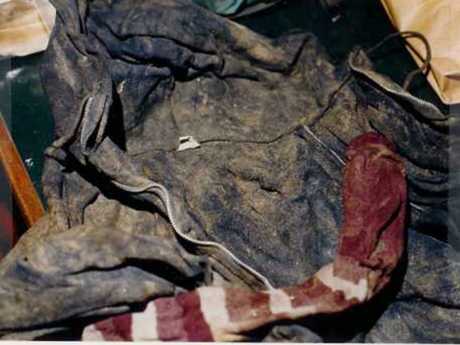 Annette's backpack was recovered along the side of the stretch of road between Breckenridge and where Oberholtzer's body was found. Police speculated that the killer had murdered Schnee hours before he picked up Oberholtzer and had disposed of her belongings between the two killings. 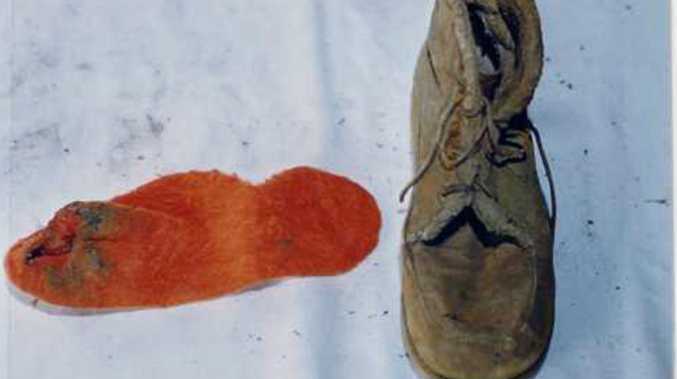 The orange sock had somehow been overlooked, then later must have fallen from the car and down the embankment where it was found with Bobbie's body. Annette's backpack contained a number of interesting leads. Among the items in her backpack was a photograph of a man in his late 20s to early 30s, squinting at the camera. It is framed closely against a white wall and his position is dead on centre. It looks like either a mugshot or an acting head shot. None of Annette's family or friends had seen this man before. Despite a 36-year search, nobody has ever been able to identify who he is. Shockingly, Annette's wallet contained the business card of Jeff Oberholtzer, Bobbie's husband. This was a striking coincidence. Jeff quickly became the lead suspect. Annette was seen talking to this unidentified woman at the drugstore. Jeff Oberholtzer's reasoning was simple: He claimed he had picked up Annette hitchhiking a few months before she and his wife were murdered and had given her his business card. One point in Jeff's favour was that he had volunteered this information to police six months earlier, after they questioned him following his wife's disappearance. He initially claimed he didn't know Annette at all, but a few days later, upon seeing her photograph, told police he actually recognised her as a woman he gave a lift to. He had given her the card of his appliance repair business after she mentioned needed to get something fixed. So, police were aware of this link prior to finding the card. Jeff passed a polygraph test, but his alibi for that night could not be confirmed. He claimed to have been hanging at his house with a friend while he waited for Bobbie to come home, but his friend had left the area and couldn't be tracked down until December, 1990, close to nine years after the murder. The man then confirmed he had spent some time at Oberholtzer's house that evening, but the times he provided didn't match those given by Jeff. In the nine years that had passed, DNA testing had been introduced which was a boon for cold case investigators. Suddenly, years-old blood samples, such as the ones found on the tissue and on Bobbie's glove, could be reliably tested to zero in on, or rule out suspects. In fact, it was this technology that showed that the blood belonged to a male; previously it was presumed to have been Bobbie's, given the violent nature of her death. DNA testing showed that Jeff was not a match and he was ruled out as a suspect. Another suspect was also ruled out by DNA testing in the 1990s, despite confessing to the killings. 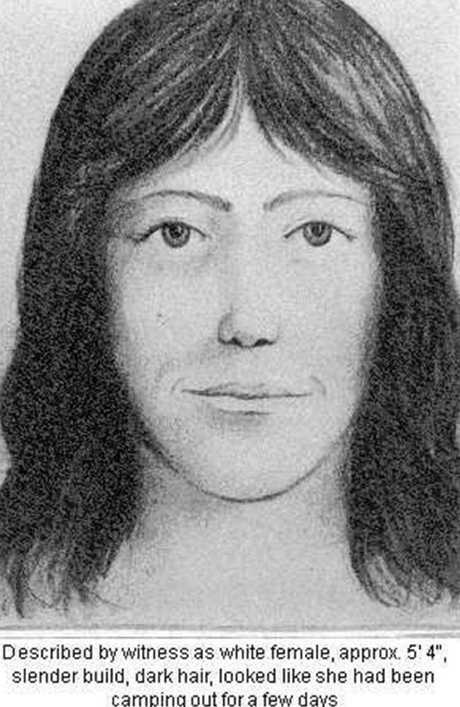 Thomas Edward Luther picked up a young female hitchhiker the month after the Oberholtzer and Schnee murders and sexually attacked her. He was charged with this crime and while doing time, boasted to an inmate that he was the one who killed Annette and Bobbie. Police gave him multiple lie detector tests, which he failed, and DNA testing completely ruled him out. However, Luther was subsequently linked to and charged with another murder and is currently serving a 48-year sentence. Many years passed and although a handful of suspects were questioned, DNA tested, and dismissed throughout the 1990s, there were no solid leads for the murders. Police were desperate for anything, and in 2006 - over 24 years since the murders - help came from an unlikely source. Discovery Channel's Sensing Murder decided to profile the case, which brought both national attention and a slew of off-kilter information. The premise of the series involves tasking two psychics with solving the case. The pair were interviewed separately and given no initial information into the murders. Both seemingly provided the same first name for a suspect, similar descriptions of the vehicle that picked both women up and suggested that Schnee was murdered at a different location from where her body was found. A task force spent four hours investigating new sites, only to come up empty-handed. Still, the show's airing shone a new light on the case and led to renewed public interest. The following year, the crime hit the press yet again after a private investigator appealed to the public for new information. "I believe it is reasonable to conclude that the man (or men) responsible for the truly brutal and senseless killing of Bobbie Jo and Annette on that horrible cold night didn't just go into the seminary the next day and reform," PI Charlie McCormick said. McCormick had been working on the case for over twenty years at that point and had collected and examined reams of evidence over the years. He, like those before him, had hit a dead end. "Most likely, (the murderer) went on to other violent criminal acts which most likely would have been the cause of them eventually entering the criminal justice system." Annette Kay Schnee, 21, worked at the Frisco Holiday Inn and a bar in the Beaver Run complex in Breckenridge called Flipside. In 2015, a task force was put together by the Colorado Bureau of Investigation, comprised of detectives, medicos, crime scene investigators and legal experts, with the aim of finally solving these crimes. 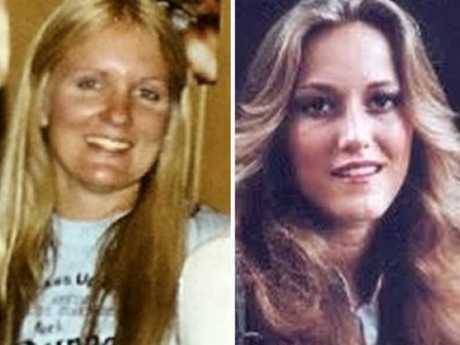 A website, RockyMountainColdCase.com, was set up and compiled all the known evidence, crime scene photos, and detailed descriptions of the guns used to murder the two women. It's comprehensive, yet simple to navigate. Just as DNA technology helped in the 1990s to exonerate potential suspects, this website aims to finally give the public access to evidence, photos, and other items of interest the task force hopes may jog the memories - or the conscience - of somebody who knows what happened. The same DNA evidence that cleared Bobbie's husband could also provide a match. The technology is far more affordable these days: $30 for a test that takes thirty minutes, rather than a $3000 test that takes three months, as was the case in the 1990s. "The blood DNA evidence would be pretty difficult to refute if we could identify who it came from," McCormack explains. And as he pointed out, murderers rarely simply stop killing. 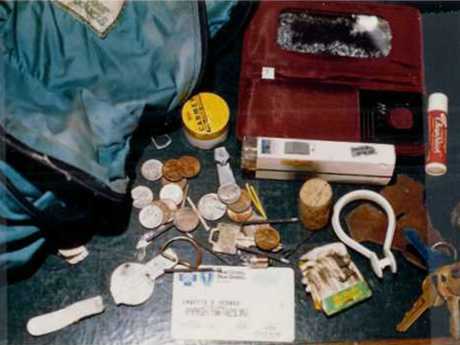 Annette Schnee’s backpack and contents that were found near Oberholtzer’s body. 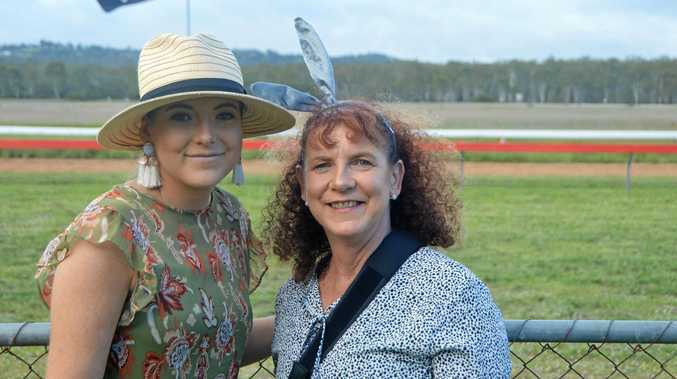 Community The annual racing carnival attracted a crowd. Community Easter Bunny was greet with much excitement at Easter in the Park. Whats On It will be a fun filled family day out.